No, I'm not saying goodbye but our hostess this week at The Friday Mashup is Heidi and she'd like us to show some love to your favorite stamps that are retiring or already retired. Is anyone shocked that I'm sad about Walk in the Wild? I love this set and I can't believe SU is retiring it already. It's a good thing that I really only buy sets I love and will use forever on down the line because this moose will still get a lot of use from me! Heidi also has a great sketch for us this week so I grabbed my card stock and went to work. The base is Coastal Cabana and I very lightly pressed some Versamark on the Hardwoods background stamp and then pressed my card base on the stamp. I didn't want to the Hardwood background to be too dark so just pressed very softly. I then took some paper from the Lullaby DSP, backed it with Baked Brown Sugar and adhered that to my card base. The moose was stamped with Baked Brown Sugar and Pistachio Pudding on Whisper White. The fathers day sentiment is from the retired set Best Dad Ever. I'm headed to Denali National Park this weekend and I'm hoping to see some moose out and about! Friends have reported caribou along the park road and also a bear so fingers crossed! 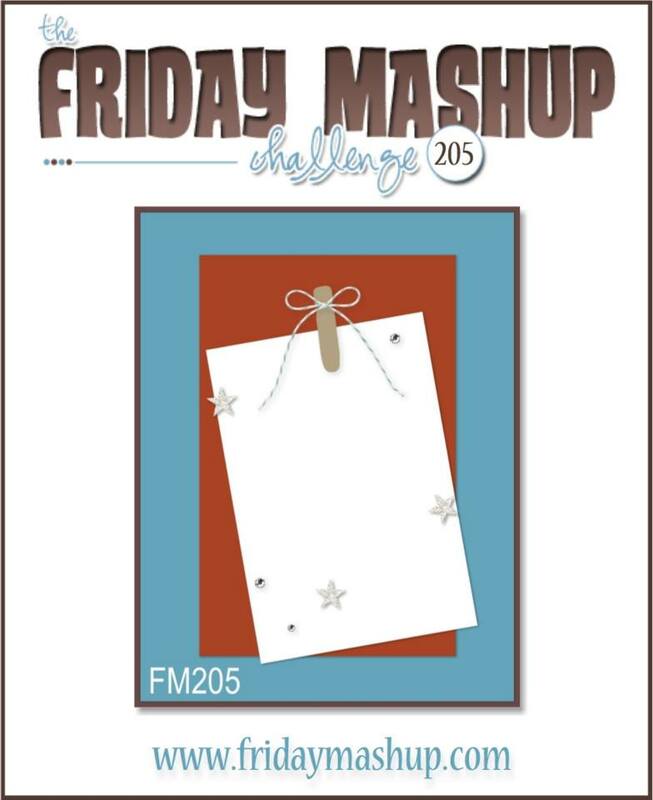 Make sure you head over to The Friday Mashup to see what the rest of the team is saying goodbye too and then play along with us! Create a project using "the sketch". Create a project using "your favorite Retired/Retiring/Forgotten Stamp". or Mash it Up! 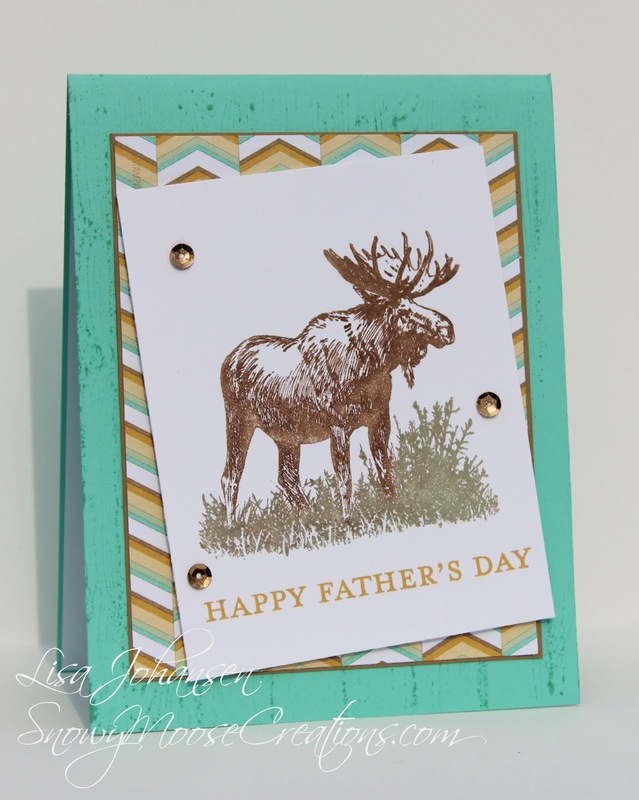 and create a project using your Favorite Retired Stamp set and the Sketch".